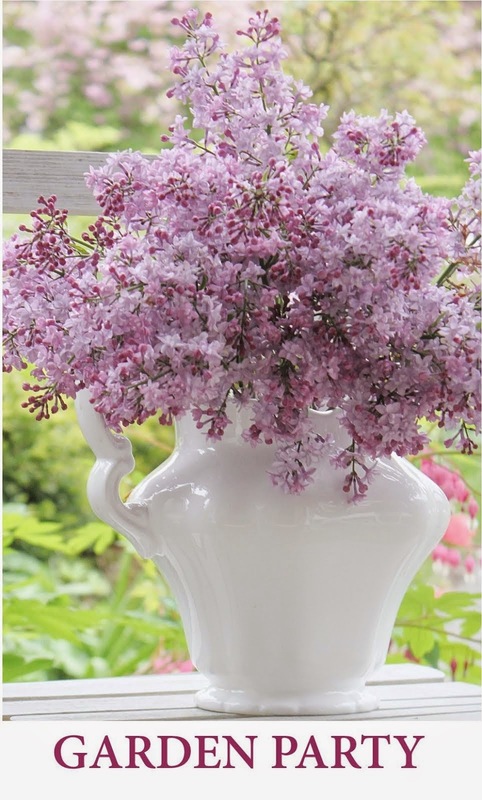 Fishtail Cottage: Daisy & Josie… "
Now don’t laugh at me!!! But, I’ve added two more birdies to the flock here at Fishtail Cottage! I have been on the prowl for a fantastic chicken coop for my outdoor garden & have always wanted to have two little white Silkie chicks running around next to me as I garden. My worries were where would I put this imaginary coop and how would I keep my feathered safe from predators (not to mention Charlie, my shih tzu). Last year on Mothers Day, my family finally gave me the go ahead to take the leap…my nerves got the best of me & said “next year” thinking spring 2011. In September we sold our play set & since then I’ve been keeping my eye out for a deal on a coop (because we have the room for it now). Most I’ve seen have not been a good fit. Meaning they are icky & not good enough for my backyard, didn’t have potential to fit in here, or just way out of my price range! I didn’t need a spectacular building – just something that would get me started to see how it would work out. Soooo, after months of “browsing” websites & craigslist – I came upon a listing for a coop – saying email for pictures….usually those type of ads are not worth it, however I did email for more info. anyway. The gal responded & she sent me to a website to see what the coop looked like but no actual pictures were available of the coop she was selling. We corresponded for a couple days & finally I explained what I intended to buy to put in the coop & offered way under what she was asking. Funny thing, she had two little Silkie chickens that were in her back yard & she felt they didn’t have enough space in her new yard. Said she bought a smaller coop to keep them in, but felt sad for them. I sent her picture of my yard (in the summertime) & she offered me her chickens in trade of keeping her updated on their life & accepted the offer I had made. how cute are their little fanny’s? So last weekend (in the rain) my husband and some buddies went to pick up my new additions and we set them up in the gravel area where the play set used to stand. The coop is amazing….brand new & so much potential – can’t wait till summer to give it some character…..& of course a garden around it!! Since the weekend I’ve left newly named Daisy & Josie in the coop to get a visual of the back yard. Today was a sunny day & I thought I’d take the opportunity to see if they’d join me in the garden while I cut back my perennials. I was a little concerned for their safety because of the past raccoon visits when we had the mamma & nine baby ducklings appear one spring in our back yard. Not to mention the hawks & bald eagles that fly over head…..and of course Charlie, the oh, so curious little guy. But when Daisy & Josie flew the coop to explore – all that came close was a curious crow. They walked cautiously throughout the garden scratching & pecking at the ground in my baron backyard…. they seem to enjoy themselves & I had to giggle at their personalities……the brown one Daisy, was the leader and Josie the black one was the follower, they stayed very close by one another! After a few hours of my gardening, they were escorted back toward the coop & walked up their little ladder to rejoin their safety zone till the next time. It was awesome to here their little clucks while I was gardening…& poor little Charlie stood at the french door windows with his nose pressed up against the glass door…..that introduction will be saved for a different day. 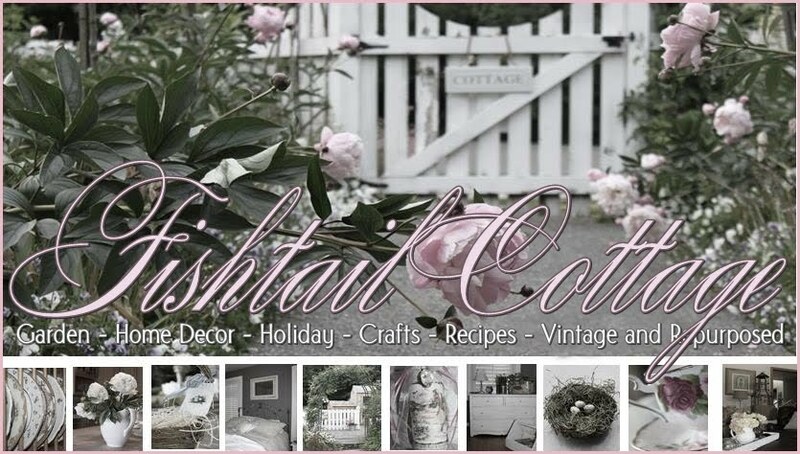 Hope you enjoyed meeting my newest members of Fishtail Cottage! Well the coop is absolutely adorable! Daisy and Josie are pretty cute too. I know nothing about chickens but I'm sure they will be a wonderful addition to you beautiful garden! The are so georgeous, I have a soft spot for little bantams, I had two when I was a teenager..Twinkle and Speckles. I love Charlie's little face pressed up against the glass...so funny! How cute are those. I have never heard of this kind of chicken and neither has my husband and he grew up on a farm with chickens. Nice coop, too. What fun. They are too cute! I keep hoping one day to have chickens. We seriously discussed it last spring, but decided we just don't have the space here. I bet your girls will love their new home. Thanks for stopping by to visit my blog too! They are adorable with their little bloomers! I am just getting around to meet some of my new friends and was so excited when yours loaded! Such inspiration! I loved the post! I too have considered getting some chickens but I was afraid I wouldn't be able to keep them contained and safe here so didn't pursue any further! Yours are darling! So sweet! And that picture of your precious dog Charlie? Is framable! I am so glad I made it by and look forward to again! I've never seen these before, they are really beautiful! The coop will be fun! They are a couple of cuties and they look so soft! Is that where they get the name silkies? I’m in love with Daisy and Josie and so glad you joined Farm Friend Friday. I love chickens and have silkies too :) As far as I’m concerned you can post about them every Friday as I never get tired of looking at these beautiful birds and seeing what they’re up to. I’m your newest follower. Happy Friday! Awww... sweet lil coop and such pretty silkies. They are just too cute! I too love their fannies! :) Popped over from Verde Farm to say hello! ah, i love your new babies! i just found you on farm friend friday and i followed you hoping for more stories of your beautiful hens. i hope they stay safe and sound. they are adorable! They are adorable! It looks like they will be excellent gardening companions to you. Josie & Daisy just made my DAY!! !